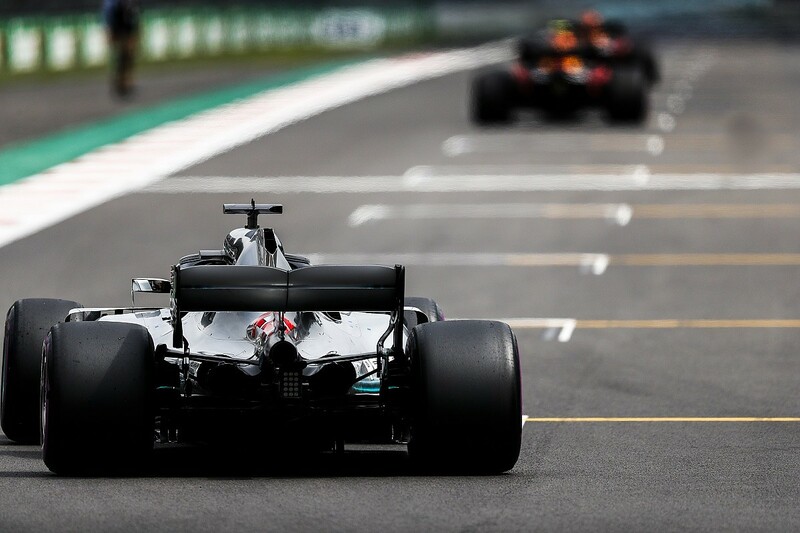 Do you believe the Mercedes wheelrims, which haven't been used in the past two races, have had an impact on its tyre troubles - and can you explain the reason that Mercedes introduced this design? I suppose the big question is why would Mercedes have done it if it didn't have an influence? Managing the tyre temperatures for both one lap in qualifying and over the full race is not easy. You want the tyres, especially the fronts, to warm up quickly for a qualifying lap, and over a race distance you want the rears in particular not to overheat. It is fairly easy to get the rears to come up to temperature by just spinning the wheels, but you don't have that option with the fronts. So getting them up to temperature is all about using the brake disc temperatures to influence the wheelrim temperatures, which in turn increases the tyre temperatures. That's the reason that Mercedes has concentrated on only the rear wheels. Basically, it has vented some cool air directly from the brake duct inlets through the wheel spokes just outside the diameter of the wheel retaining nut. This acts like an insulator, reducing the heat transfer that the hot brake disc and axle has on the wheel mass. With the brake discs running at something like an average of 650C and even higher just at the end of braking at corner entry, the cooling air is then carrying some of that heat with it through the wheelrim. It is easy to see why Mercedes has put such effort into this development. Reducing the wheel rim temperature by 5-10C will have a significant effect on the tyre temperatures. If F1 instituted an ICE horsepower maximum, do you think this could help level the development playing field? Races where horsepower has not been the dominant factor have been the best races this year. I think it would be very difficult to do and I don't think the engine manufacturers would be very happy. With the current engine rules, getting the best from the package is not simply about the one with the most V6 horsepower. I don't believe Red Bull-Renault won the race at Mexico City because it kept all its internal combustion engine horsepower while other teams lost theirs. 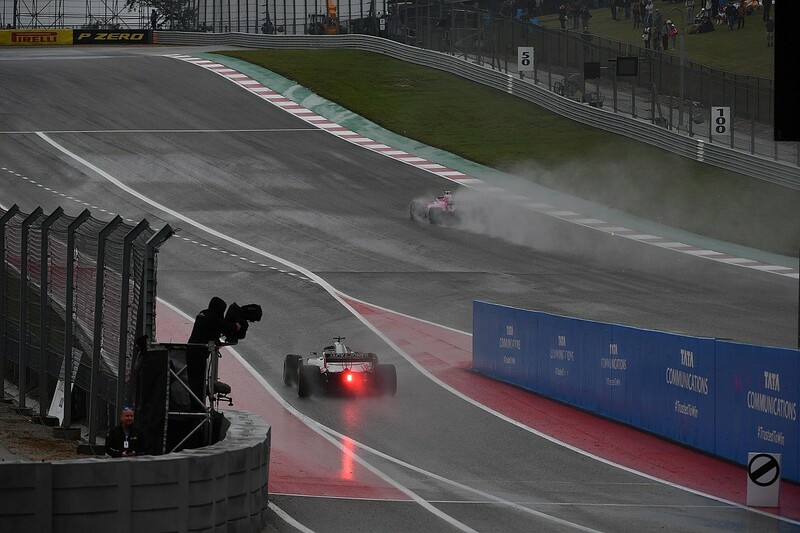 Remember, Max Verstappen came from 18th to second at Austin - which is a circuit with normal levels of atmospheric pressure. 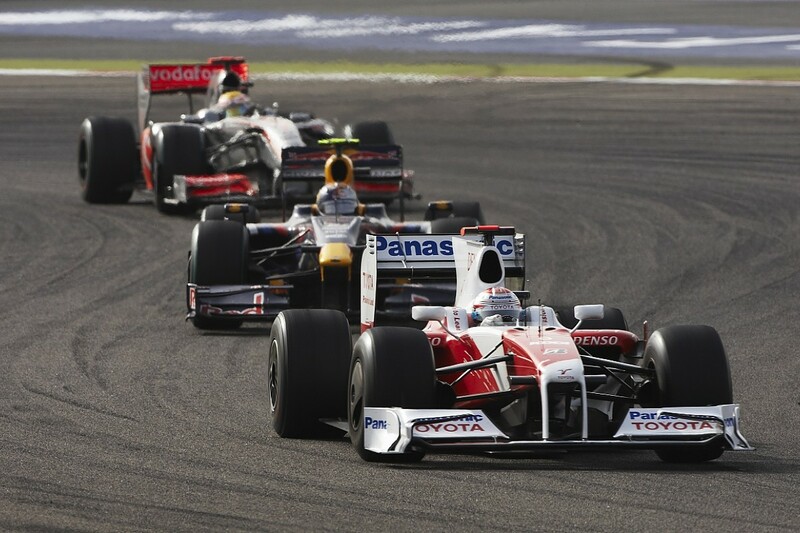 Today's Formula 1 is a formula of three distinct parts. The first is the driver and their level of talent. Unless they have part two, which is the chassis, they will struggle to be measured (other than against their team-mate). Part three is the engine package, and the chassis will not be able to show its true potential unless it has the best power unit. 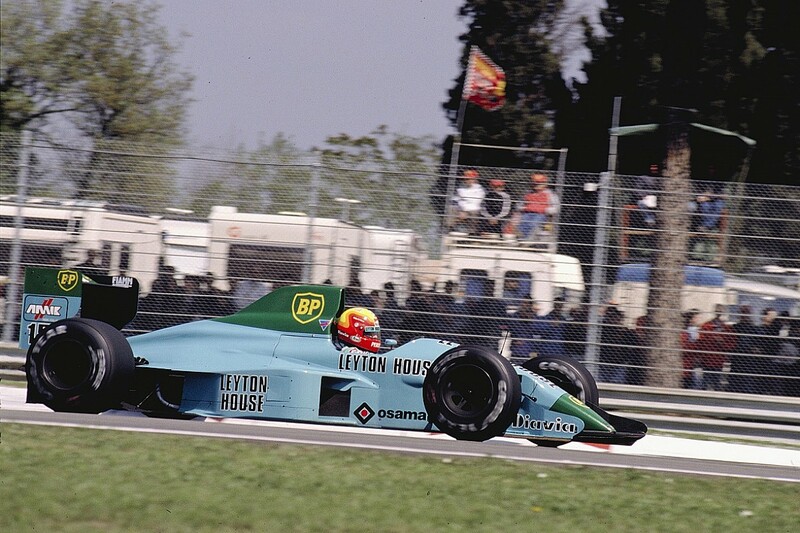 So if you were to turn F1 into a de facto 'one-make' series, as it sort of was back in the Cosworth DFV days, then yes you would eliminate one of those requirements for success. But if you were to do that then why not do the same with the chassis? Then it only leaves the difference in the driver's talent - and we would have another Formula 2 or Formula 3-style formula. In reality, they offer some great races but have tiny audiences. With all of the talk about cars' lack of downforce when following in turbulent air, and F1 seemingly against going down the route of more underfloor aero/less top-surface aero, would a small and strictly controlled driver-adjustable front wing flap help address this? This was introduced when the regulations were changed for 2009, based on the research of the Overtaking Working Group findings. As with most the findings from that research, it was a waste of time. 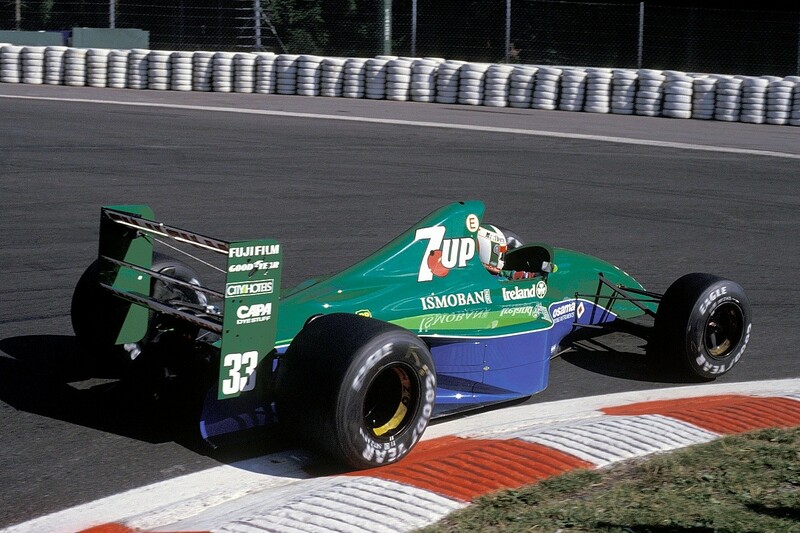 Yes you could increase the front wing angle and get a slightly better balance, but the major loss of downforce was still there. Just to look at the problem simply, let's say that you take the car that is on pole position at Silverstone, and on Sunday morning you tell them that for the race they have to run Monza downforce. I'm pretty sure everyone would agree that they would be slower. Well, that's sort of what happens when you come up behind another car. Pure loss of downforce and hence grip is the real problem. The front wing changes for 2019 will be interesting. I don't believe they will do anything for the turbulence that the leading car generates, but I think they will make the following car less critical to that turbulence and that is the direction that needs to be taken. This problem has been around since the beginning. Any object that travels through the atmosphere at speed will generate forces and create turbulence. The higher the forces, the greater the turbulence. To get any decent reduction of the turbulence generated by the leading car, you will need to change the regulations dramatically and manage the open-wheel tyre wake differently. But improving the following car's ability to run in more turbulent airflow would not be so visually dramatic. At Austin we saw what a Friday washout can do for the show. If we compare F1 with other categories like Formula E and MotoGP I see one very important difference: telemetry. Wouldn't removing live telemetry from F1 decrease the predictability? The 'shock results' Ross Brawn once referred to will be much more likely if the teams don't know what the car is doing every millisecond. Let them log the data off-line like they do in FE and MotoGP. I'm glad to see that Ross Brawn reads Autosport. I have been calling for a change on how the teams get their data for some time. It's not just telemetry, it is data in general. The cars measure everything, bucketloads of data per lap. Most of the engineering and set-up improvements come from the backroom staff at both the track, and back at base, doing data analysis. They make sure the car is working in its correct envelope, or work out what needs to be changed to get it into that envelope. If that was reduced and it was down to driver feedback and working closely with their individual race engineer, I'm sure we would see a more random performance profile. You can't roll back time, so my proposal would be to allow the teams real-time telemetry for reliability channels, engine, gearbox and hydraulic pressures and temperatures, and even tyre pressures, but not tyre temperatures or any form of car performance data. You can still gather car performance data but it is locked away in the black box until the chequered flag falls on Sunday. There are constant complaints about not being able to follow closely enough to pass, but then I hear, especially during qualifying, about some drivers looking to "get a tow" behind a leading car, allowing them to close up and be faster on the straights. How can following too closely be a problem when getting a tow is seen as an advantage? Being in turbulence and getting a tow are two very different things. 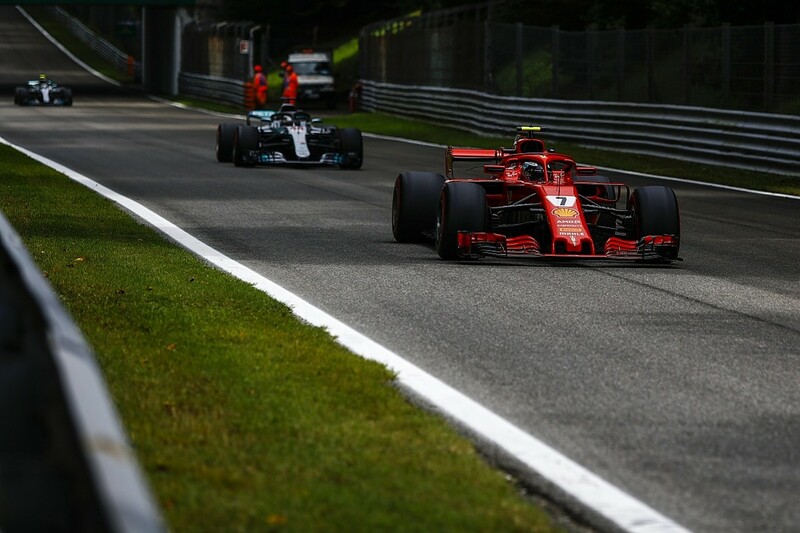 If we take Monza as a typical example of a track where your lap time will benefit greatly from a tow, it is fairly critical that whoever you use to get a tow from works with you. If not, you need to be very lucky to latch on to the back of another car at the right time. If you were planning it between two team-mates, you would get one car out on its warm-up lap, then complete its timed lap. As it finishes its timed lap, the second car would leave the pits, follow it around, and the leading car would then speed up out of Parabolica and tow the second car down the pit straight. At the first chicane, the leading car would pull off the racing line, allowing the following car to overtake and push on with their timed lap. To achieve that, what was the leading car would have done an extra lap on that run so they would now push on and come into the pits, change tyres and add some fuel ready for them to do it all again - 'hopefully' the other way around. It's very difficult to get the timing right, but it can be done. If accomplished correctly, the tow can easily increase your top speed by around 10-15km/h. Unfortunately, one of the drivers usually misses out just because of timing or another car getting in the way. Turbulence and the difficulty to follow and overtake is a different matter entirely. If you are behind someone going through a corner and you lose what the FIA believes is 30% of your downforce, then you will be slower through that corner and produce a slower lap time. From the best car on the grid to the worst is at the maximum 20% difference in overall downforce.The aerodynamic characteristics will also be different, which is why we can see gaps of around three seconds covering the grid. I built Judd F1 engines at the end of the 1980s and we would do a complete rebuild on each engine after 500 miles (a race distance plus either qualifying or a couple of test days). Pretty much everything except the castings, valves, crank and conrods were replaced. Post-build the unit went on the dyno, underwent endoscopy, and had cam clearances checked before going out the door. Do the modern internal combustion units get any TLC during their working life? How much fettling is allowed? Can they whip the heads off and re-lap the valves, for instance? Good to hear you are still interested in today's Formula 1. John Judd and Brian Hart were two highly respected independent engine builders and we had many good times together, but that's a story for another time. The build and dyno running procedure would be very similar to how they were in your days, but the 'fettling', as you call it, might just be a bit reduced. The current engines will be running with a lot more sensors then before, so the teams will have more of a handle on whether anything strange is happening. They will also be inspected between each event using an endoscope. Although the engines are sealed post-event, if teams have any concerns they can get an FIA representative to visit the factory and remove the seal to allow them to run the engine on the dyno just to confirm its function in preparation for the next event. You don't want to do too much of that since any running will reduce its circuit life. And no, you wouldn't be able to, as you say, 'whip the heads off and re-lap in the valves'. I am probably, like yourself, amazed at how these units now do 3000 to 3500km. I remember the days, not so long ago, when just doing a tenth of that was an achievement. What's the purpose of those hoses hanging out in the middle of the diffuser of the Jordan 191? I haven't got a picture of them to hand, but I'm pretty sure they were just the breather hoses for the oil system and the overflow pipe for the water system. It's funny how things change. In those days, you had to vent the oil system to the outside world, and then sometime in the late 1990s it was all changed and you had to vent the oil breather into the airbox. After that, if you overfilled the oil tank or the engine started breathing heavily, you would actually ingest and burn your own oil, reducing the risk of spreading it all over the track. This year, because of all the hoo-ha about using oil mixed with the fuel to increase the fuel capacity and in turn the engines power, they have gone back to venting the oil system to atmosphere. Funny how the wheel of life keeps rotating. 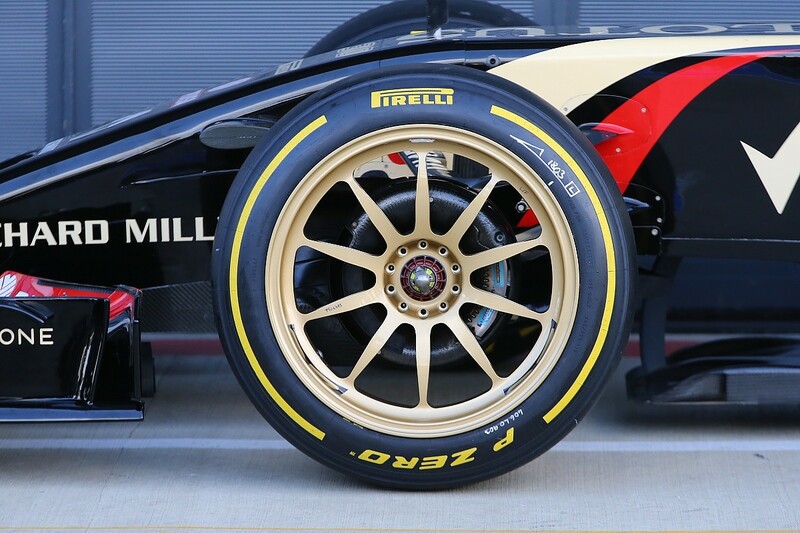 When F1 switches to larger wheel rims, how will it affect brake design? Will the teams stick with small systems and use the space for other purposes? Also with greater space, what about a return to steel disks increasing stopping distances for overtakes? I haven't seen any detailed regulations of how this area is going to be controlled in the future. As the regulators are now starting to pay a bit more attention to what a brake duct really is, hopefully they won't leave too many open doors when setting out what can be done inside the larger diameter wheels. I'm not sure what the best approach would be. Larger discs would give a little better stopping power, which as you know would decrease braking distances and reduce the potential for overtaking even more. Leaving a huge void between the brake disc and caliper and or brake duct is just not Formula 1, where every space is exploited. Returning to steel discs is probably never going to happen. In any case, developments of steel discs and ceramic pads over the last few years have improved their performance dramatically, so even if the sport went down that route the difference wouldn't really be as much as we would expect. The biggest negative would be the weight. To cope with the thermal shock the steel discs need to be heavy, and that is the opposite of what Formula 1 is all about.